Legislation has been passed allowing the IRD to change the way PAYE reporting is done. The current process, which is gradually being phased out, requires employers to report PAYE to the IRD on a monthly basis in the form of an Employer Monthly Schedule. However, as more and more businesses use accounting and payroll software, the IRD is transforming its systems and processes to capitalise on the benefits this technology provides. This means that PAYE information filing will be an automated rather than a manual task. The PAYE information filing process is being integrated into payroll software, enabling employers to file their PAYE information directly from the software. The software sends the payroll information electronically to the IRD at the same time as the employer is paying their employees. There is no need to file an Employer Monthly Schedule. Payday filing of PAYE information will be compulsory for employers and payroll intermediaries above the electronic filing threshold from 1st April 2019, and became optional on 1st April 2018. The deadline for filing PAYE information will vary. 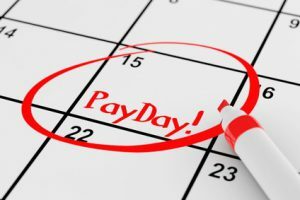 Employers above the electronic filing threshold ($50,000 of PAYE and ESCT per year), payroll intermediaries and employers using payroll software will need to file their PAYE information by the second working day following payday. PAYE information from other employers will be required to be filed within seven working days following payday. These changes relate only to PAYE information filing, not the actual payment dates of PAYE and ESCT deductions, or payment methods. Although employers now have the option of paying PAYE and related deductions to IRD on payday, this will not be compulsory. Employers with PAYE and ESCT deductions over $500,000 per year will continue to be required to make these payments to IRD twice per month (by the 5th and 20th). All other employers will continue to be required to make these payments to IRD by the 20th of the following month. For more information and examples of the payday filling process, please visit the IRD website.